May 8, 2018//-Somali Government has called for international help to stop illegal exports of charcoal from the country. Mahdi Guled, Deputy Prime Minister of Somalia, made the call at a two-day UN-backed international conference on charcoal, which kicked off in Mogadishu. The UN mission in Somalia organised the forum along with UN Environment, UNDP and the Food and Agriculture Organisation of the UN (FAO). Guled also appealed to African and Gulf States for cooperation in halting the vice, which is rampant in the Horn of Africa nation. The deputy prime minister further called for urgent action and support from the international community and countries that were importing charcoal and reaffirmed the government’s commitment to provide alternative livelihood and energy options. He said “we need a holistic response to address the issue of charcoal in Somalia. 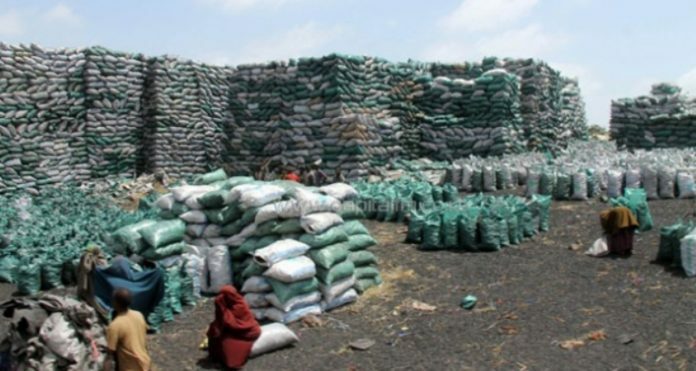 The exports of charcoal from Somalia have been banned, both by a 2012 UN Security Council resolution and by the Somali government, due to its destructive effect on the environment and its exacerbation of conflict and humanitarian crises. A UN estimate showed 8.2 million trees were cut down for charcoal in Somalia between 2011 and 2017, increasing land degradation, food insecurity and vulnerability to flooding and drought. However, more than 80 per cent of charcoal produced in Somalia is exported to Gulf States and neighbouring countries. Peter de-Clercq, Deputy Special Representative of the Secretary-General for Somalia, said the environmental destruction brought on by the charcoal trade contributes to drought, flooding, the loss of livelihoods and increase in food insecurity. “Together with conflict, this exacerbates the humanitarian situation in Somalia. “But due to high levels of poverty in Somalia and lack of opportunities, many are forced to turn to unsustainable and illegal livelihoods, such as charcoal production. The people of this country deserve better,” De-Clercq said. The conference intends to rally support for concrete action, including partnerships with investors, to stop the illegal trade and to strengthen ongoing work in developing alternative livelihoods and alternative energy sources in Somalia. Juliette Koudenoukpo, UN Environment Regional Director for Africa, said regional partnership was key to stopping the unsustainable production, use and export of charcoal in Somalia. “UN Environment and its partners are supporting the government of Somalia to develop sound policy frameworks to support the ban and find alternatives to charcoal,” she said. Participants are expected to develop a concrete road map for action, including enforceable regional policies, to halt charcoal trade, as well as its unsustainable production and use within Somalia.